Analytics and AI can go hand in hand to make work simpler and more efficient. Analytics relies on combined capabilities of computer programming, statistics and operations research to quantify performance. It is used to interpret large amount of data and draw meaningful conclusions from the available data. Among the many technology changes over the last decade, we have seen the substantial growth of data analytics for handling, processing, and gainfully using large amounts of data. However, since data analytics can only work with historical data and give outcomes as predefined by humans, specific rule-based algorithms were developed to augment data analytics, thereby imparting the ‘self-learning’ capability to computers, which is now referred to as “Machine Learning”. Machine learning did not require the computers to be explicitly programmed, which is a definitive advantage. Machine learning was then combined with data analytics to analyze data and develop complex algorithms to predict models, which was named as predictive analytics. Predictive analytics is driven by a set of rules defined by humans, known as predictive algorithms which are used to analyze historical data to predict future outcomes. While analytics is based on pre-defined set of programs, AI has the capability to self-learn using historical data. When analytics is coupled with AI, it can play a crucial role in data mining of medical records and become an effective platform in the healthcare sector. Along with data mining, analytics can be used with AI to develop predictive models which can help doctors diagnose diseases at an early stage. 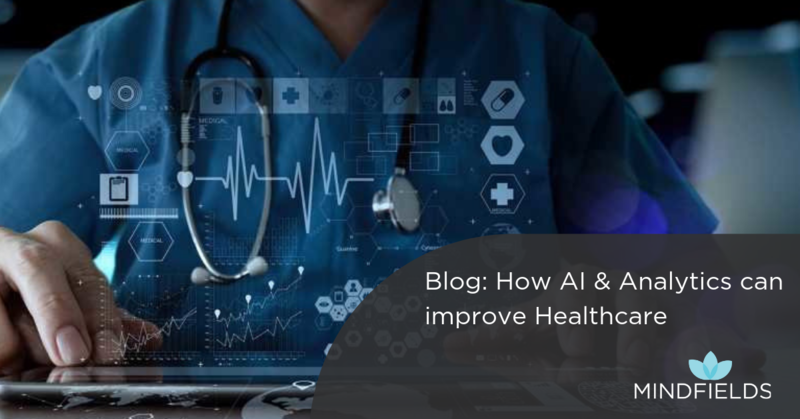 In order to achieve the above outcomes, analytics and AI need to work in conjunction, which would not only improve but revolutionize the healthcare sector. With the increasing volumes of healthcare data captured using cloud-based applications, AI would eventually become a fool-proof and scalable solution, covering the whole spectrum of clinical applications from prevention to diagnostics to treatment, as well as non-clinical applications like patient engagement, workflow process and claims processing. 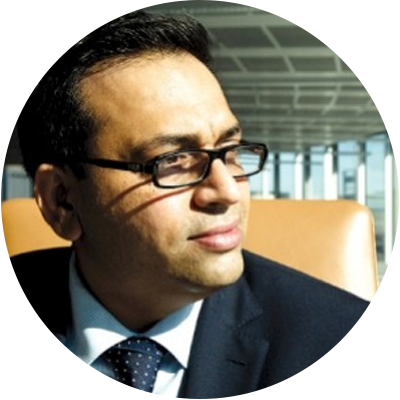 Furthermore, AI in healthcare provides support to clinicians for predictive analytics in real-time and solves operational challenges across the hospital functions. It also saves staff time, reduces steps, and removes paper-based processes through automated data collection, analysis, reporting and communication. 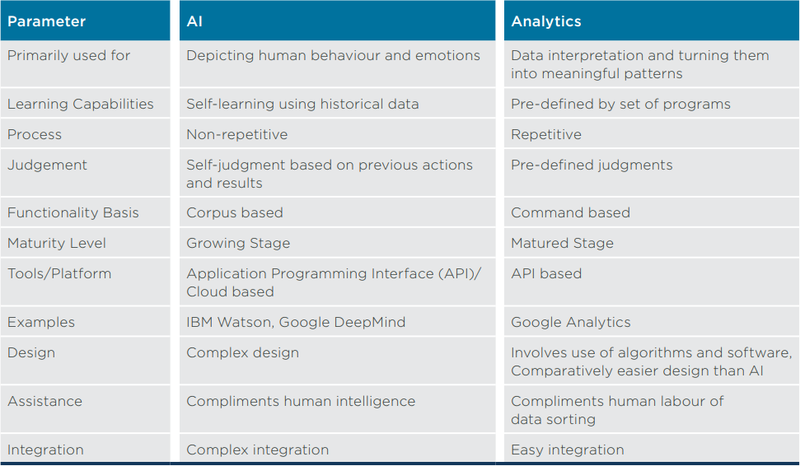 The following table compares AI and Analytics on several parameters.